savez vous si ce nouveau GPS est dispo sur internet? Oui, c'est RNS-510, qui sera intégré dans le nouveau 4X4 VW Tiguan (le petit frère du Touareg). Trop beau, il existe en accessoire ?? Merci de respecter la Charte ! Mk1 Gti 1978 L'authentique ! 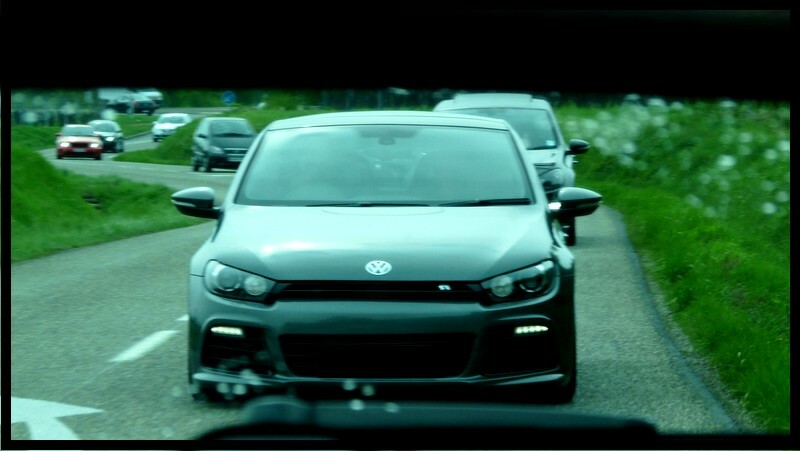 Avant :Mk7 Tdi 150 Carat, Mk6 Gti, Mk5 Tdi 140 Sport . The new RNS 500 looks new and different because of the housing with chrome elements. The buttons are not like the old RNS-2 units situated below, but are grouped left and right of the display. Besides the touchscreen operation this unit, produced by Blaupunkt, has also a SD card reader for multi media cards for reading MP3. The unit also plays MP3 CD's. You can also operate a telephone from the unit (optional). In future, operating the Apple Ipod will also be possible. Angeblich soll es die gleiche Bildschirmgröße (Farbe) wie das MFD 2 haben- 6,5" Farb-LCD 16:9. The latest generation of navigation devices is marked by simple operation and multiple functions. 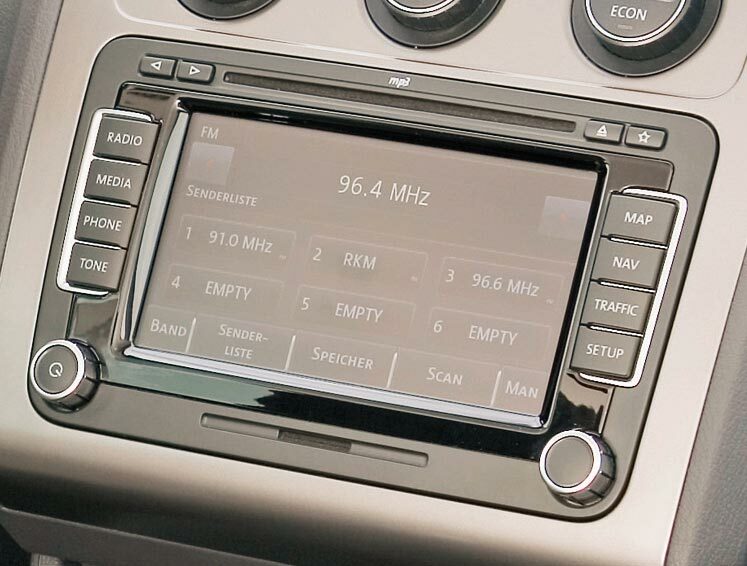 The RNS 510 radio navigation system is one unit that sets standards in these areas and is now available in the new Touran. For the first time, the new unit can be operated easily and precisely using a touch screen. The additional control rows (hard and soft keys) using the piano key principle have been kept and enhance the user-friendly concept. The new system calculates routes in record time using a high-performance 750 MIPS (million instructions per seconds) processor and is capable of displaying multi-coloured maps in 16:9 format. An integrated 30 gigabyte hard drive is used to store navigation data and can also be used to save audio content. The high-resolution display on the electronic navigator is impressive in all areas. It displays maps, images and videos in brilliant screen quality. You can also display maps in a bird?s eye view as well as the familiar arrow icons in split-screen mode. An integrated DVD drive allows you to play common CD formats like MP3 and WMA (Windows media audio) as well as play videos (only when vehicle is stationary). A Secure Digital card slot on the front of the unit allows you to access various "AUDIO" data formats. The modern radio module with four 20 Watt speakers and excellent sound and reception completes this high-end system. The RNS 510 is available as an option for the Touran at ? 2,010. Sinon je m'écarte lentement du sujet, y'a t'il un post sur ce forum ou un autre ou il y'a un photoreportage d'un Gps monté en seconde monte? Tu peux dire un grand merci a Holbiab et Marsage qui ont réalisé ce pdf. L'écran est un 6"5 comme l'ancien. Page générée en 0.259 secondes avec 69 requêtes.